I have been planning on reworking Dragon’s Rest for a while now. I have learned a lot since I wrote my first pattern. When I saw the inspiration photo for a new exclusive Earthfaire The Unique Sheep gradient colorway I just knew I had to knit it. 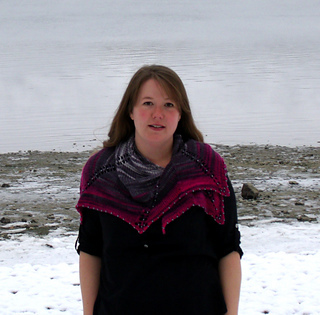 There are quite a few options with this shawl, three sizes (with specific stitch counts) are provided and you can knit in your choice of yarn. 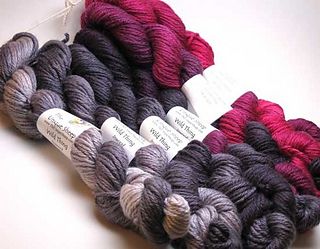 The grey to wine sample is a colorway called Inwood which also has shades of charcoal and purple, it is a small knit with Wild Thing and makes for a very quick gift project. 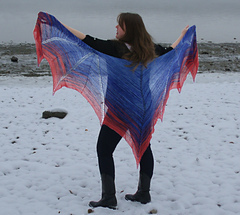 The blue to orange sample is a colorway called Blue Dragon is the large knit with Eos. 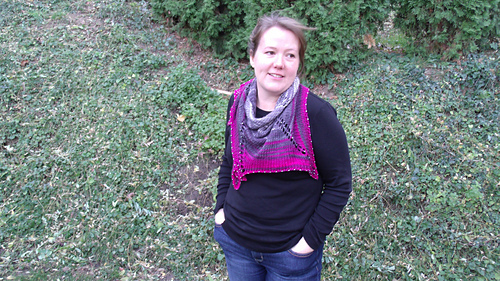 Both of these kits are available from Earthfaire.com. 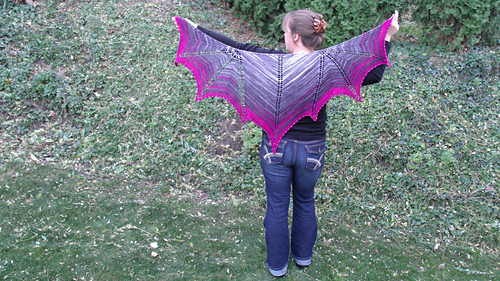 Ellen also has kits made up of Dragon Fire, which is my personal favorite Earthfaire colorway. You will need about 420/650/900 beads. If you choose to add a drop to each tip you will need 9 drops. 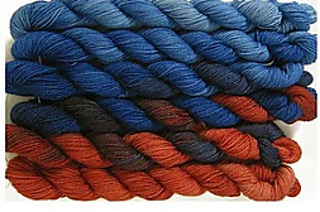 You can start at either end of the colorway. Beads can be chosen to match your beginning color and contrast your end color for a bold look or you can choose beads to contrast your starting color and match your ending color for a more subtle look.